Team Sky's Egan Bernal has taken the overall victory at Paris-Nice by arriving to the finish line 26 behind the last stage's winner Ion Izagirre. It was a heavy stage for the Colombian rider, particularly in the second half when Nairo Quintana attacked and led the front group. 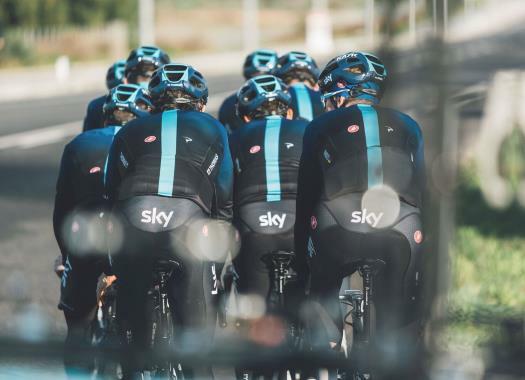 Despite the many attempts of the leader of Movistar to get a bigger gap on the pack led by Sky, the British team managed once more to control the race perfectly. "It's a really good feeling," said the Colombian. "I can't believe I just won Paris-Nice. It's incredible for me. I'm happy. Was it hard to stay calm? Yes and no. When some riders started to attack, I couldn't follow them but I also knew I had a good team, a strong team and it can control the escapees. "It was not difficult to be calm because I really believed in my team. The whole team was riding very hard in the front. We knew it was the last day and they pulled very hard. Quintana was very strong but I had Kwiatkowski, Sosa, Tao... When Quintana attacked, I thought maybe if I follow him, I can stay with him. But then I'm alone and I preferred to wait a little bit and stay calm. Nicolas Portal, our team director, knows everything about this race, all the details, the winds, the roads, the gaps. In the finale, I knew that with a 45 seconds lead, it was enough to win." Paris-Nice is part of the preparation route Bernal has chosen to face the Giro d'Italia, the first Grand Tour in which he will have the lead position in Sky. "Next I will probably ride Catalunya and then it will be time to prepare for the Giro," he explained. "It's my first Grand Tour as a leader so I just want to enjoy it. I prefer not to think about whether I can win or not. I'm 22 years old, I'm young, I have a lot to learn. I must keep my feet on the ground."